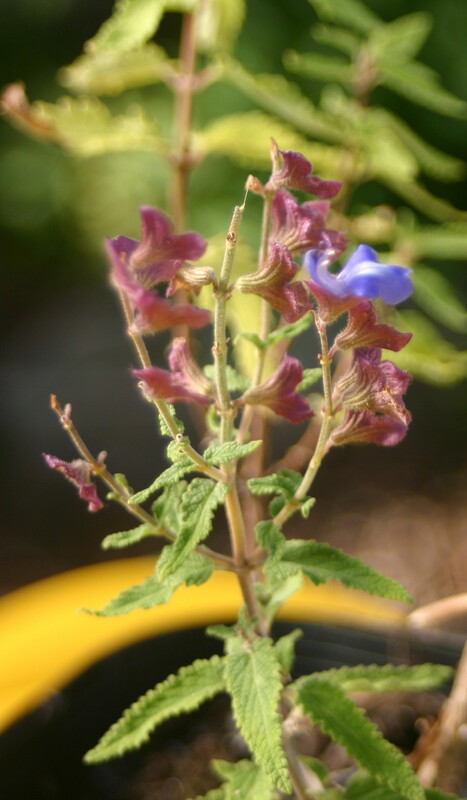 Salvia calolophos is a small Argentinian. Robin’s salvias have a picture of a lovely dark blue one, unfortunately the one circulating in Australia is ordinary blue and doesn’t seem to have a lot going for it as at 2016. However it is a short plant and a big clump of it might be more impressive. Sometimes plants grow on you with more experience. I haven’t propagated it so far.